If you’ve found yourself saying, “I can’t sell my house in Fort Worth TX,” this article is for you. Maybe you’ve been trying to sell your Fort Worth house for a while now and haven’t received any offers, don’t panic! You still have a few options at your disposal to help you sell your house for a fair price. What are my options if I can’t sell my house in Fort Worth? “I can’t sell my house in Fort Worth because I owe too much!” This can happen if you purchased your home within the past few years and currently owe more than the home is worth (called being upside down). To do this, you’ll need to have a buyer on board who can close quickly. Fortunately, we can! Give us a call today at (817) 796-6203 for a no-hassle offer on your house. I Can’t Sell My House in Fort Worth TX! 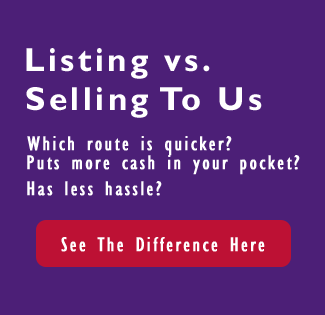 If you are interested in learning more your options for selling your home in Fort Worth TX, call us at (817) 796-6203 or fill out the form on this page to get more information sent to you right away.